And get a free, no obligation estimate for a ongoing or one-off clean that is tailored to your home. Learn why hundreds of Aucklanders choose us for ongoing weekly, fortnightly and monthly cleaning of their home. Learn what makes our Move In/Out and Top to Bottom Deluxe one-off cleans different. Are you tired of spending your weekends cleaning? Would you like to buy back your precious free time? Request a no obligation cleaning estimate for your home and we'll be in touch within hours to answer your questions and give a no obligation estimate specific to your home and your requirements. Choose from one of the cleaning services below and never clean your home or office again! Moving out and want your bond back? Selling your home and want to fetch top dollar?Want a 'Spring Clean' to freshen up your home? Then a one-off clean is exactly what you need to impress your landlord, hold an open home or get your house looking immaculate once again. You work hard all week to bring home the bacon yet you're faced with spending half your weekend cleaning - every single weekend. - each tailored to the cleanliness of your home. Moving out and need your carpets professionally cleaned? We can organise every aspect of cleaning your home in one phone call. Save time and hassle organising multiple companies to clean your home and get your carpets professionally cleaned by our experienced carpet cleaning technicians. Looking for a commercial cleaning company that goes the extra mile? You spend most of your waking hours in your office so you deserve to work in a healthy, clean, workplace that enhances the well-being of your team. what makes our commercial cleaning service different. If you want to makeover every aspect of your property from washing your roof to cleaning around your gutters then Life Maid Easy is the one-stop-shop to manage it all for you. 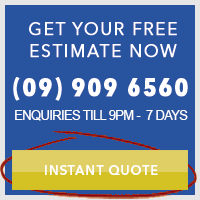 Whether its general maintenance or a property makeover, call today on 09 909 6560 for a no obligation quote that is tailored to your property. Our team is available to suit your schedule, even at very short notice. Learn more and enquire online about property maintenance services. Surprise your love one's with a professionally clean home! Forget flowers, give your friends/family what they really want - a few weeks off cleaning duty! Choose the type of clean you would like (hard to go past the Top to Bottom Deluxe) or a specific voucher amount and we delivery it to you in a special gift envelope (cleverly concealed of course). Learn more or order your vouchers online in the form to the right. We clean your home the way you want.